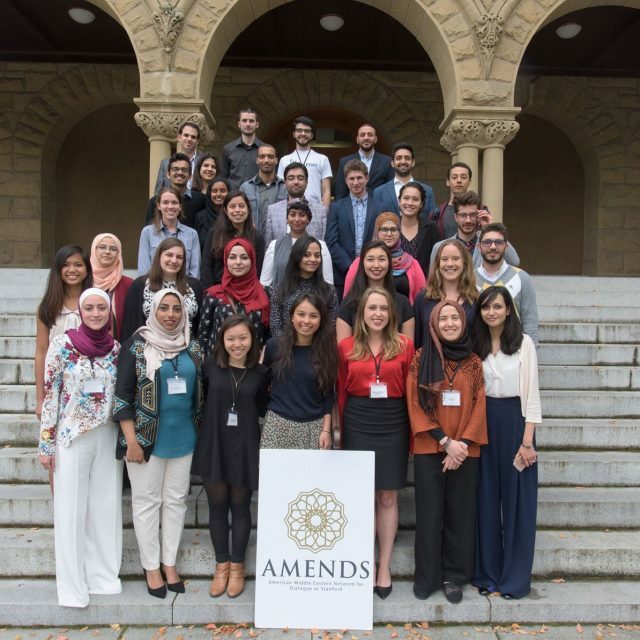 The AMENDS Global Fellows facilitate positive social change across the Middle East, North Africa, and United States through a variety of high-impact initiatives. Our Fellows support children with autism in conflict-affected areas, bring potable water to indigenous women in Morocco through fog-harvesting, and translate Kurdish poetry across borders. A few of our members’ projects are highlighted below; you can browse all of our work on our Fellows page and learn more about how we collaborate between initiatives through our Working Groups. The Jerusalem Youth Chorus empowers young Israeli and Palestinian singers to become leaders for peace in their communities by providing a space where they can engage one another in musical and verbal dialogue. Through a combination of music-making and interpersonal engagement, the Jerusalem Youth Chorus seeks to create a life-changing experience for its members. The Science League is an award-winning social enterprise increasing access to quality education for underprivileged children in Jordan. Through hands-on classes and virtual platforms for STEM learning, the League equips students with the skills they need for the 21st century and focuses on critical thinking and design methodologies. They have trained and mentored over 5000 students in seven cities. GlobalGirl Media develops the media literacy of teenage girls and young women in underserved communities by teaching them to create and share digital journalism designed to improve scholastic achievement, ignite community activism and spark social change. By turning up the volume of girl’s voices, GGM strengthens substantive journalism to address historically marginalized voices. In addition to our Fellows’ constant work on the ground, three major events happen each year around the world to build capacity within the AMENDS network. 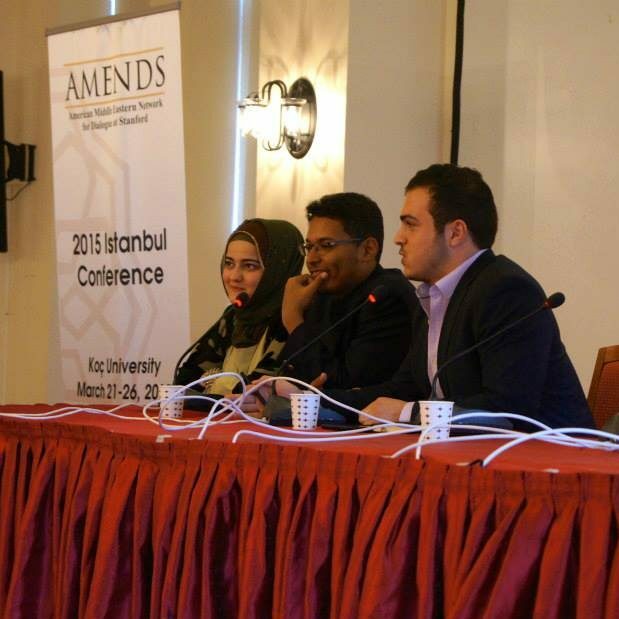 The start of the AMENDS experience is run by our sister organization, a student team at Stanford University. 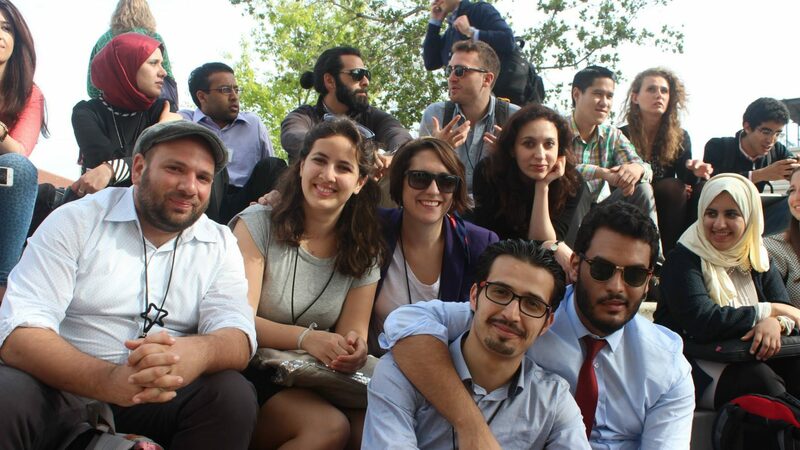 Each year, thirty young but proven changemakers from the Middle East, North Africa, and United States are selected from a competitive application process to present their work at a week-long conference focused on building skills, resources, and ideas. Learn more about how to become or nominate a delegate for the next AMENDS Summit on our “Get Involved” page. In 2017 in response to increasingly closed US borders, the AMENDS Stanford Student Team and AMENDS Global Fellows formed a partnership with the Stanford in Oxford program. 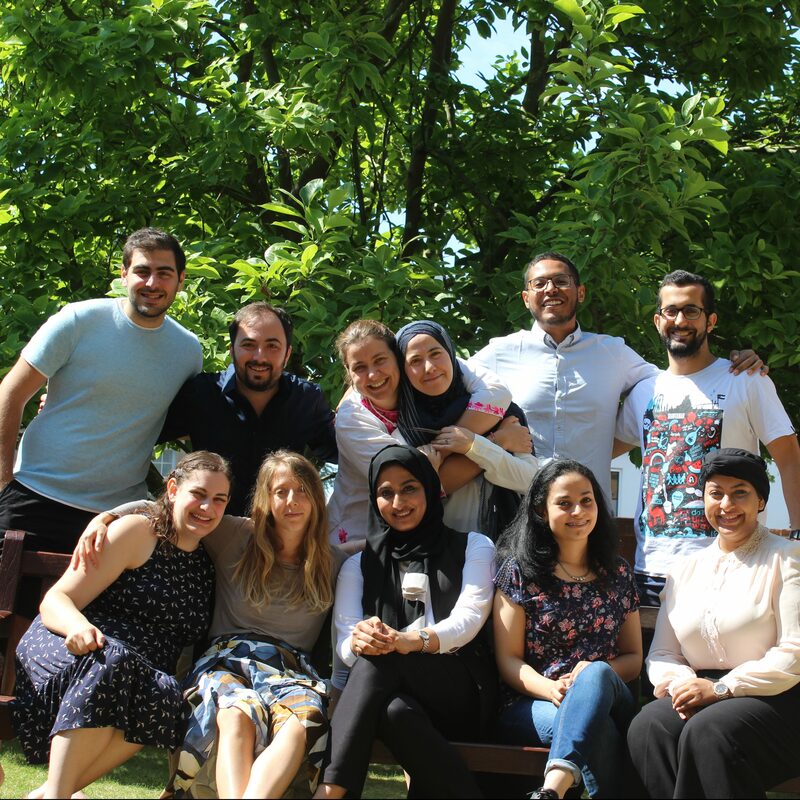 Every July, a group of AMENDS Fellows gather in Oxford, England, to further collaborations begun virtually during online meetings throughout the year, meet with the academic community in one of the world’s most famous universities, and re-energize in Stanford House’s beautiful gardens. The heart of AMENDS lies in transforming divides separating people into bridges supporting good ideas and positive transformation. Our Regional Conferences bring Fellows to a local community to continue working together and building their own initiatives while meeting with and supporting ongoing work in the host city. Previous locations include Koç University in Istanbul, Turkey. 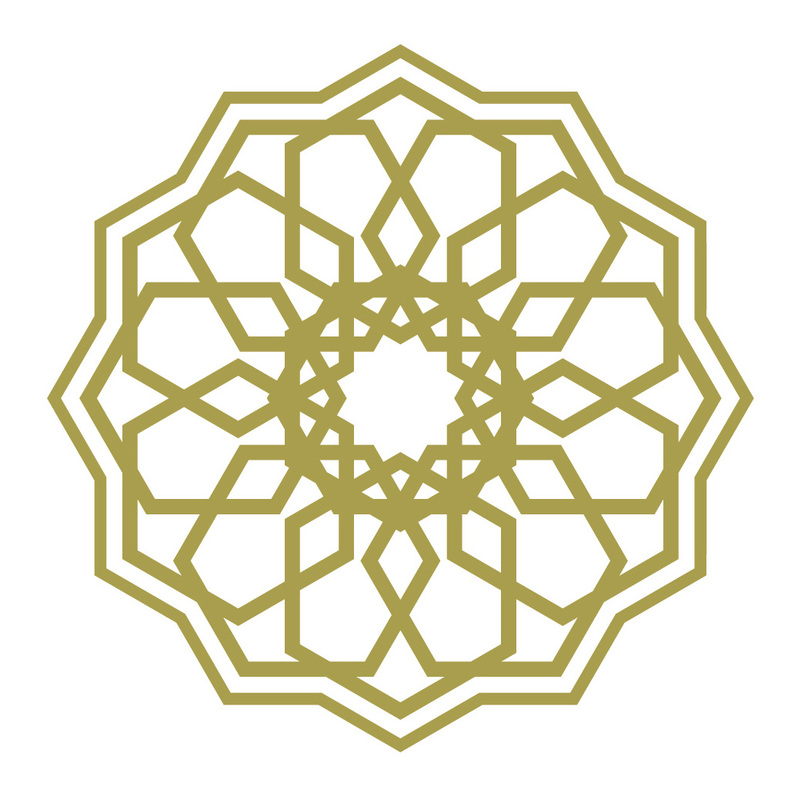 The next Regional Conference is scheduled for 27-31 December 2018 in Agadir, Morocco.